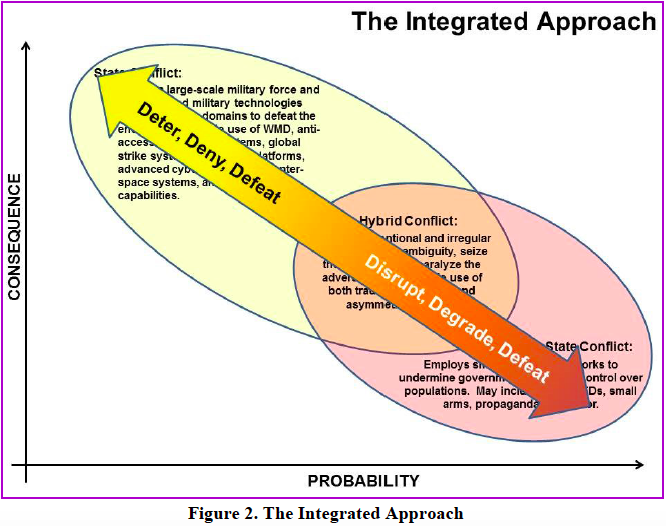 The latest US National Military Strategy (NMS) was published in June 2015 (http://www.jcs.mil/Portals/36/Documents/Publications/National_Military_Strategy_2015.pdf, which is also the photo source.) 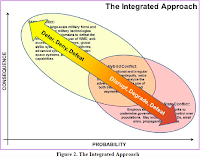 Conceptually it is derived from the National Security Strategy (NSS) released in February 2015 and which can be found at: https://www.whitehouse.gov/sites/default/files/docs/2015_national_security_strategy.pdf. Those of us with military experience know that ‘stuff’ rolls down hill and the impact of strategic documents is a good example. However, it is often hard to figure out what the direct impacts will be – impacts to be felt within the next couple of years. The NMS mentions a number of nation states: Russia, China, Iran, North Korea, etc. However, it is clear that the emphasis is on non-state actors, especially Violent Extremist Organizations (VEO). Here are a couple of quotes WRT VEO. 1. Deter, deny, and defeat state adversaries. 2. Disrupt, degrade, and defeat violent extremist organizations. Accomplishing these objectives will require a versatile, resilient and flexible force. From an influence operations perspective, this means seamlessly reinforcing information objectives across all forces and media. This implies that all of the services, the PAO and others in the mix are all in synch and orchestrated to support the CDR’s influence objectives. One of the glaring issues is the cyber influence world. LTG Cardon, the CG of the Army’s Cyber Command has proposed that his agency be the proponent for influence in the cyber realm (see: http://www.military.com/daily-news/2015/08/26/army-cyber-general-proposes-new-mission-to-fight-global-hacks.html). These comments strike me as intelligence indicators that the responsibility for directing and carrying out the influence war is murky at best. Anyone who has ever worked with Public Affairs knows that they are very cautious about working with other influence organizations for fear of ‘contaminating’ their position. As the new leaders at the Joint Chiefs level come into place and the Presidential election starts to come into focus, we can only expect more turmoil and less continuity. It’s no secret that many governments have discovered the importance of social media. One on-line article attracted my attention (see: http://www.nextgov.com/defense/2015/08/us-intelligence-community-keys-russian-troll-army-manipulating-social-media/119158/) Intelligence officials were quoted as having said: “There is a concern that social media campaigns orchestrated by overseas powers could distort open-source intelligence gathering”. During disasters, much like combat, there ‘s a fog as to what is really going on. In my role as a Red Cross volunteer I’ve learned to appreciate how ‘tweets’ can be a barometer of public perception of a disaster. The amount of tweets rises and falls in line with the public’s perception of the severity of the event. It’s also probably fair to say that there is some sort of ‘bandwagon’ effect whereby lots of tweets and social media activity spurs even more. If a government (or non-state actor) were able to distort the frequency and content of social media to the point where they were actually shaping it, this would be a great for them. It could be a double play in the sense of they have distorted the truth and secondly are able to influence more people to think or behave in their direction. 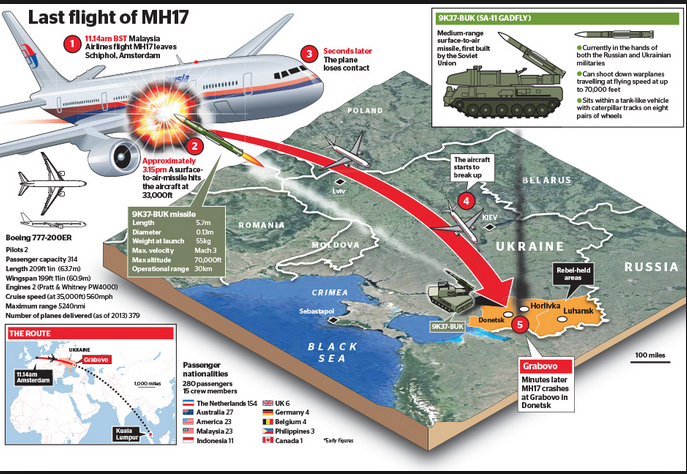 The article emphasizes how the Russians were able to impact social media after the MH17 crash in the Ukraine. The implication for the PSYOP/MISO community is clear. There needs to be a balance between ‘new’ and ‘old’ influence mechanisms. Unfortunately the tendency in today’s world is for the US government to classify anything and everything that is cyber, just as they did for SIGINT a half-century ago. MISO requires synergistic ways and means. Cyber and traditional influence operations must work seamlessly together to reinforce each other. Social media influence will continue to be pivotal. Hopefully cyber influencers will be able to work well with their military counterparts and others to optimize the use of influence operations as a national power. The NY Times of August 10, 2015 ran an OpEd “The Pentagon and the Wartime Press”, when I went on line to give y’all a URL reference, I couldn’t help but notice that the on-line title was “The Pentagon’s Dangerous Views on the Wartime Press” (see: http://www.nytimes.com/2015/08/10/opinion/the-pentagons-dangerous-views-on-the-wartime-press.html?_r=0; which is also the photo source). The source, Law of War Manual can be found at: www.defense.gov/pubs/Law-of-War-Manual-June-2015.pdf. 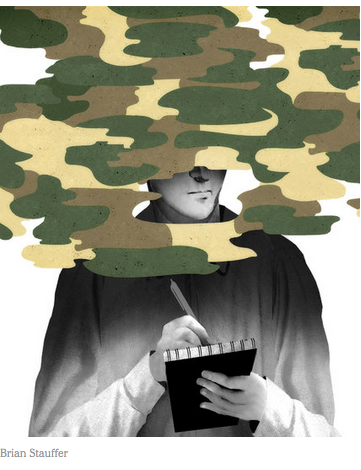 The OpEd is concerned with the US DOD treatment of journalists. It is more or less implied that journalists provide a vital and Constitutionaly protected service by informing US citizens about what their military is doing. While I haven’t read the Manual, I will make the assumption that the Manual is trying to provide ‘guidance’ for OPSEC purposes, not to muzzle the press. We all realize that careless reporting, like careless use of Social Media can have dire consequences in combat and it’s always useful to have a source to help justify actions. Unfortunately I have to characterize the Gray Lady’s piece as a knee jerk, out of context, arm-waving diatribe. However, the point of this posting is not to critique the piece, but rather cause a pause in the ‘community’. Our world is outside the US. MISO take place outside the US and are addressed to foreign audiences. Of necessity foreign audiences include foreign journalists. Public Affairs is the lead organization for working with foreign media and there is absolutely no question that this is the case. MISO often needs to optimize foreign media support for the CDR’s goals and operations. MISO often functions as an advertiser in foreign media and can retain writers and journalists in foreign markets to develop work in foreign media that supports the CDR. In some cases this may rise to the level where MISO becomes the champion of selected foreign media to help them get the support they need to tell our story. One of the elements missing in the OpEd is that most overseas operations are not undertaken by the US alone. General McChrystal noted 46 countries taking part in Afghanistan. Not having deployed recently – I look to y’all to advise whether or not the US rules for journalists was the SOP for Coalition forces and to comment on whether the Coalition partners all followed the US rules or if they took certain liberties either with their own national media or ‘favored’ foreign media. 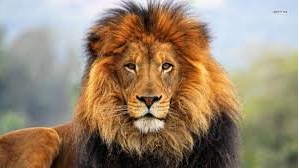 The US media has joined the Social Media frenzy in lambasting the dentist who purportedly paid over $US50,000 to hunt and kill Cecil the iconic lion in Zimbawae. The article goes on to become a very enlightening piece on PSYOP targeting. The author paints a case that appealing to the baser instincts of the small number of media companies that have millions of ‘followers’ can result in a massive impact on human behavior. The article postulates that all the media attention won’t help Cecil nor any future big game targets. But that’s not the point, the point is that a small coterie of media companies control mass impressions – that’s an important point in PSYOP targeting. Oh, what does the author say is the way to try and eliminate future victims like poor Cecil: “If you really care about Cecil, stop buying things made in China because while one dentist killed one lion, the vast majority of wildlife are killed for weird remedies in China. Or maybe you should stop buying things made in Japan, since the Japanese routinely slaughter thousands of dolphins for meat.